This is like part two of my previous post, because taking advantage of my parents trip to the USA I also ordered some coffees from another famous coffee roaster, Stumptown Coffee Roasters, originally of Portland, Oregon. Stumptown have 4 coffee shops in Portland itself and another 2 in Seattle. 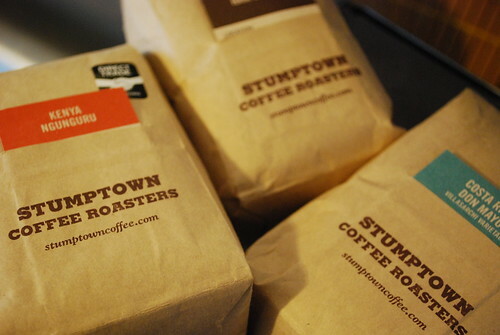 As a bit of a coffee nerd, I had naturally heard of Stumptown through scanning many coffee websites. However, I had never ever tasted any coffee roasted by them, until about several months ago (see my post of 23 July 2008 if you are serious) when I was given the privilege of tasting some Kenyan peaberry arabica coffee beans from them – Wow ! it was really special. So based on that experience I had to try their coffees again. I also like the way their coffees are packaged, nice brown bags with these really cute card inserts describing on one side where the coffee comes from and on the other side the types of tastes your tongue should encounter, if brewed properly but of course. 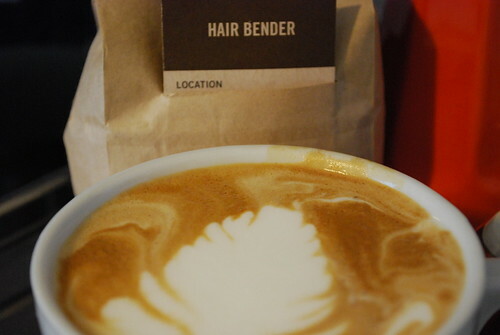 First up is one of their most popular coffees, the Hair Bender – interesting name. For some unknown reason it was difficult for me to get a consistent grind, so it was a bit of a …. wait for it… hair bender…. trying to get the right grind, meaning that as a bit of a perfectionist, I wasted more than I would have liked trying to get my 25 second espresso. In any case, when it did it come out, and I gave it a good stir, it displayed this S sign….. kinda wierd, but I guess the coffee knows who roasted it, S for Stumptown… hmmm ! I must admit, I preferred the Hair Bender with milk based espresso drinks as I detected that milk chocolate caramel taste in my mouth. 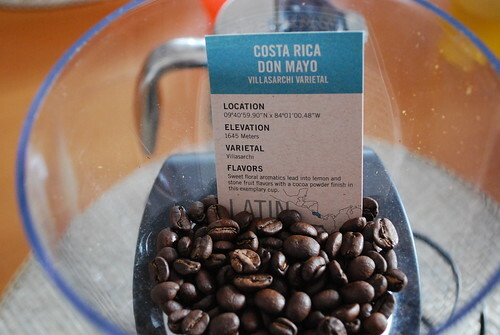 However, for me, the Costa Rica Don Mayo, was really special. Oh ! look at those beans waiting for the grind… the excitement beckons. I describe Don Mayo as a bright and sweetish brew – one of those really special coffees. You don’t really need sugar with this coffee, it really is that sweet and poignant that it just hits you with a sweet sharp taste as it glosses your tongue. I shared the coffee with one of my colleagues, who is beginning to really appreciate coffee and she instantly mused “Wow ! this is one of the best coffees I’ve ever tasted”. 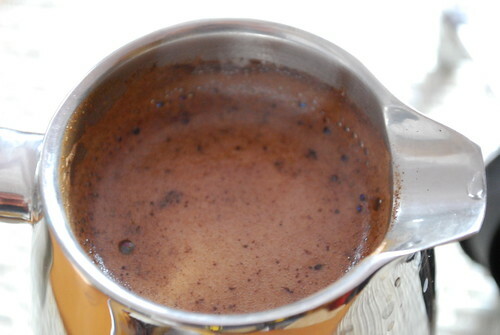 I loved it as a French Press coffee and you can tell its freshness by the display of what I call “French Press Crema” sitting on top, nice and foamy. For the last bag, I have to thank the roaster, Shari, who when I was ordering, thought it very amusing that I was taking advantage of my parents being in the States that I was ordering coffee. We had a good chuckle and then she mentioned that they had a really clean tasting Kenyan arabica coffee. I couldn’t really afford to buy anymore, but when I got the package I saw that Shari had kindly included a free 250g bag of Kenyan Ngunguru. The description on the bag was interesting “strawberry, rhubarb, watermelon and cacao”. Now I wasn’t sure about the first three, but when I brewed it for French Press, I was able to detect watermelon on the outside edges of my tongue… hmmm ! interesting. I failed however to get the others. 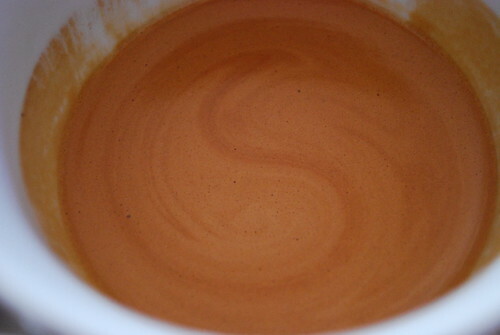 In short, the coffee is what I call an afternoon coffee, earthy and bold and good after a heavy lunch. 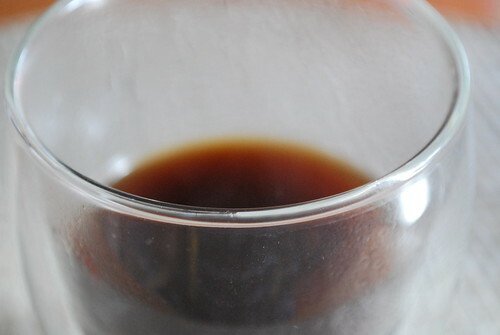 I also got with a bit of some experimenting and blended the Costa Rica Don Mayo and the Ngunguru and I found it quite pleasant – the contrast between the bold and earthy Ngunguru and the sweet, clean and high acidic Don Mayo. I shared it this time with a Costa Rican colleague, who was very thankful, especially after the lovely aroma had glossed his nose, inviting his secretary to comment “why don’t you share coffee with me?” I quietly walked out. Anyway, I definitely recommend buying coffee from Stumptown and if you are lucky enough to live in the USA, you can order online, freshly roasted to order. This entry was posted on Thursday, April 30th, 2009 at 10:12 pm	and tagged with arabica, coffee, Costa Rica, Hair Bender, Kenya, Oregon, Roasters, Stumptown and posted in Bean Talk - Coffees, I'm Drinking. You can follow any responses to this entry through the RSS 2.0 feed.